Video: How we plan on living on the road; husband, wife, three kids and four horses. I think the nomadic idea was secretly planted in my head by my husband. It also helped that we met other people, one family in particular, that moved around with their family performing at rodeos and equine events. Our life has slowly morphed into travel because we can serve more people by moving around both at clinics and expos. By the time our youngest son was seven he had traveled to 40 states…each time returning to Mount Gilead, Ohio. It just seemed logical to try living on the road. We also like the idea of spending more time together as a family. And we can always go back! If you were going to live in a motor home for a year…what would you hope to accomplish? What questions about our travel plans would you like us to answer? ← What is the best kind of fence for a horse pasture? May God continue to bless you on your journeys! If you get close to Ks/Co, you can bet I will be coming to see you! Any clinics in the works? I still review my notes from your Co clinic! My new barn is set up as a horse hotel, would love to have you stay! Hi Stacy you need to come to Acton,Ma and ride at Bobby’s Ranch amazing trails they would love to meet you and have a clinic. Stacy, just thinking of you and yours, prayer for happy trails! Your life looks awesome. You all looked so relaxed and look like you are having a wonderful time with your family. Love seeing you and Jesse hold hands while you are riding? Question–Where did you buy your hat? The one with the stars. I love that hat!! Awesome! I am hopefully starting a similar journey with my horses. I would love to hear more about trailering your horses long distance. There is so much controversy, would love to hear your opinion. Do you tie during long trips? If you do, what is the minimum length you tie? Bungee cords? Do you offer hay, if so, what do you recommend (net, bag, etc?) how often do you stop? How often offer water? What is the longest time you will leave horses in the trailer? Do you use shavings in the trailer? 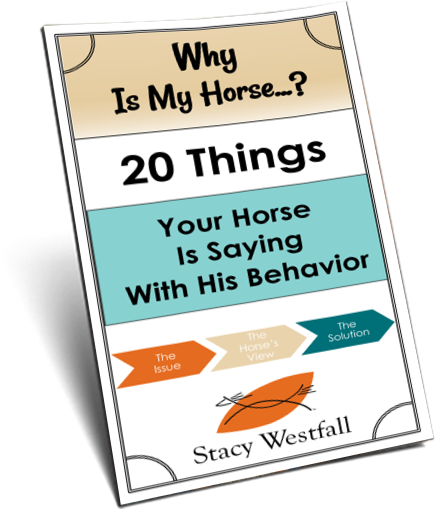 How do you keep horses in camp – High ties, hobbles, electric fence? Would LOVE an in-depth piece on horse camping and hauling from you, I think the horses would thank you! I am a silent fan/horse person. I think your choice of moving around for awhile, in transit, in transition, in healing, in the unknown, in family, in love with your horses commands total courage and faith. Faith in the ever unfolding of.life. I would love to see a following of more people traveling with their horses as a new way of life creating support systems along the way and even collaborating with others. How awesome would it be if you crossed paths with Cavalia for example? They have their first generation of children growing up on horse back within the troupe! What a fabulous experience for your kids to share with other kids like themselves! I don’t know the ages but I think maybe around 6 or 7 years old by now. I look forward to your journey! Best to you & all your crew! This sounds like a dream to me! Trail ride in the mountains sounds great! I would also hope to see wild horses, ride on the beach along side of the ocean. Maybe connect with other like minded trail riding groups in those areas that could guide you. I can’t believe how much your boys have grown! Wow-what an adventure,challenge, change of lifestyle. Can’t imagine the logistics of planning, from the basics of meals, showers, packing and unpacking–horses-turnout facilities, regular,consistent feed, water,grooming. When do you start your trip? Do you have 2 rigs, one for horses and one for the family? Above all stay safe and have fun. Suggestion for trail ride in the mountains…our absolute favorite place to ride is the Great Smoky Mountains. The trails are well maintained, and the views majestic. We love staying at Orchard Cove Stables in Townsend, TN. It backs up to the Park so you can ride out of camp onto the trails. The barn and large covered arena are far and away the best we have seen in a campground. You can even get in there with a large motor home and the sites are level. You may not want to leave 🙂 A trail not to miss: Rich Mountain trail for the incredible views and possibly view of a black bear. You can also ride on the Appalacian trail that goes through the park! So much to see and do when you camp and ride here. Did I mention it is our favorite? Happy trails!!! Where do you plan to spend the winter? Probably in one of the southern states, I suppose. What is the average cost you pay at equine campgrounds? Is that where you park mostly, or are there remote places where you can camp free? Are the kids all interested in horses? While you’re out traveling I would like to highly suggest you guys spend some time in Hawk’s Valley, Oregon. I would suggest scouting the area without the trailer and horses first… 4high is required on some of the roads. I really envy you! I have wanted to live on the road with my horse for may years and I will as soon as I can retire from my fulltime job in less than 5 yrs. My main concern is finding hay for the horses while traveling. Do you have a way to get it when you get to any location? How do you find places to stay and how long do you stay in each place? Will you be caravanning the motor home and the truck and trailer? 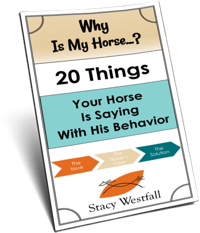 How well do the horses handle being in a trailer that much? Hope to see you in ND sometime!!!! Stacy??? …who doesn’t have a horse….. 4 horses and 5 people….. somebody’s walking!!!!! oh and where are all the other horses?? the minis???? dogs??? Hammy the hamster??? i wish you could come to norway to Harstad, it would be so great! 🙂 ive been riding for many years, but ive never got to learn western. Stay strong and together. I love you and your family. God bless you always. My husband and I built a new home and barn on 20 acres in SE Missosuri. We also have a living quarter horse trailer and travel around to different campgrounds and trail ride. I’m a teacher and have summers off so I am able to go quite a bit in the summer. This past summer we went to Cripple Creek Virginia at Iron Mountain Horse Camp and rode in the Appalachian Mtns. It was awesome!!! We met several couples there that had permanent campsites at that campground. My husband & I are seriously considering selling our house when he retires in 3 years and traveling/riding full time. My question to you is, do you or your kids get tired of living out of the mobile home? Or have you yet?